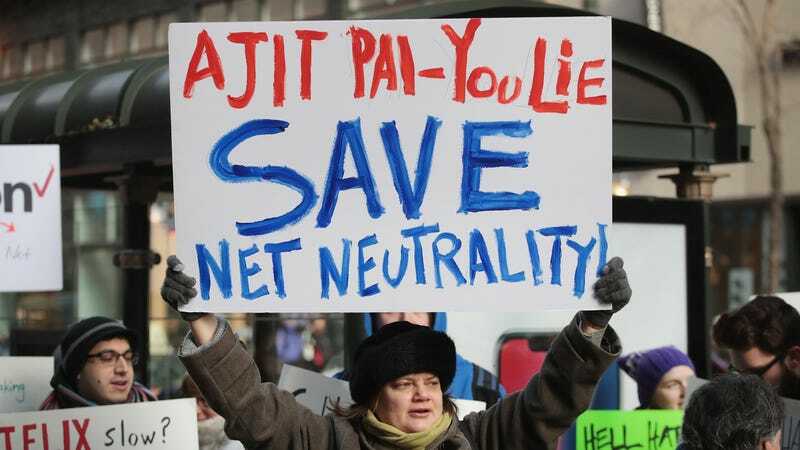 As explained on the campaign’s website, Fight For The Future is rallying together everyone it can find to spend tomorrow, December 12, making a bunch of noise about net neutrality. Specifically, it’s asking people to add intrusive pop-ups and headers to their websites reflecting the horrors of a non-neutral net—like requests to upgrade your internet subscription plan or notifications that your ISP has blocked or throttled the loading speed of the URL you’re on. It’s also asking people to tweet every 10 minutes about the FCC’s impending vote on whether or not to repeal net neutrality, change their Facebook relationship status to “married to the free and open internet,” or—if you’re really want to cover every single base—add job experience on LinkedIn about defending the free and open internet.